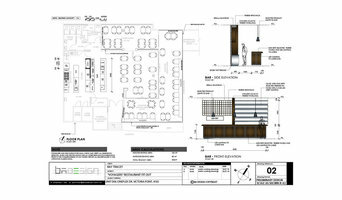 We want to share the design experience with you – with your unique requirements and our interpretive design skills, we form a team / partnership to realise your dream project - but in a sensible and practical style - using easy to understand user friendly colour 2D & 3D drawings - and to a realistic budget. Architectural Nature – “Architecture in affinity with nature” We are a group of Brisbane Architects providing professional architectural services in residential, commercial and institutional (including educational, health and law and order) projects. These services include all aspects of design, documentation, feasibility studies, master planning, liaising with relevant authorities, Contract Administration of building projects and Principal Consultancy. 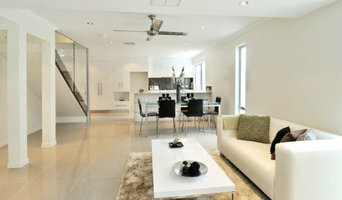 GB Building Design is a family operated business located to the north west of Brisbane. We are primarily focused on contemporary residential construction. We are a family design team working in the Caboolture area since 1996. 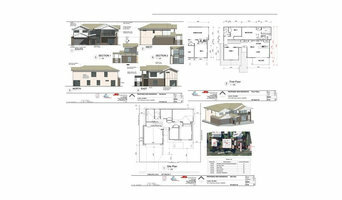 We design new houses, renovations and additions, with some commercial work. We have a strong interest in Energy Efficiency. The Outside Perspective was established in 2014 to help people navigate their way through the often confusing process of building design and renovating. At The Outside Perspective, we will guide you through each step and take care of the documentation you will need to get a building permit and complete your project. In just a short time, we firmly established ourselves in Brisbane with a reputation for creating innovative and smart designs along with quality documentation. Based in the western suburbs of Brisbane, The Outside Perspective specialises in all aspects of residential building work and small commercial fit-outs throughout southeast Queensland. Established in 1988, we are a Small Private Design and Drafting Practice who specialise in Custom Homes, Additions and Renovations as well as Small Multi-Residential and Commercial or Industrial Projects. Our Philosophy is that, you - the client - sometimes have a good basic idea of what you want. It is our purpose to put these ideas into a Design Concept and Final Building Plans that not only satisfies your requirements and expectations, but are also practical and sustainable. 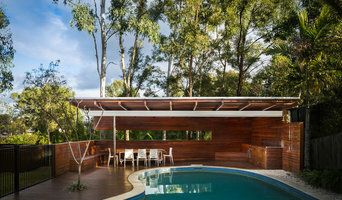 Tim Stewart Architects are Brisbane Architects built on the knowledge and expertise of our team who collectively bring to the studio a diverse range of skill in residential and commercial architecture projects. Award winning Brisbane architecture firm delivering commitment to exceptional designs and successful projects for our clients. We are an multi disciplinary Design Studio working on interior and architectural projects within the residential and commercial sectors. We work in the Design Thought Facility studio because this is what we love to do. We are dedicated and excited about design and what we can make of it. We rejoice in the idea and of the idea’s journey into something of creation. Whatever your design needs may be, whether that be functionality, cost-effectiveness or contemporary outcomes. We promise to take your vision and nurture it with our innovation and passion to create inspirational projects. We look forward to the opportunity to have fun, be absorbed and excited about your project Contact us if you have a project you would like to discuss. Let's start collaborating. We are a family owned and operated business with over 16 years in the Building and Construction Industry, there are three things we value most here at Kilmister Constructions and that is family, you and quality craftmanship. We are all about giving you the space that you want, helping you realise your dreams and working that in a way that suits your family, budget and lifestyle. Everything we build is with passion, honesty and integrity, creating spaces that are built to last. Graham Anderson Architects was established by Graham in 1992 and became an incorporated company in 2000. From our office at Albion, an innercity suburb of Brisbane, we provide a range of architectural services for clients throughout Australia. With more than 25 years experience, our well-established and professional practice has designed residential, small commercial, medical room fitouts, retail tenancies, child care centres, and religious buildings.